These papers illustrate the career of Frederick Smith, covering his days as a student at the Royal Veterinary College (1873-1876), as a veterinary officer for the cavalry in India (1879-1885), as professor at the Army Veterinary School, Aldershot, and then returning to service, rising through the ranks during the Second Anglo-Boer War until joining the War Office during the First World War. Papers relating to this work include official correspondence, case notes, diaries and research data. Smith contributed a great deal of literature to the veterinary profession, with papers regularly published in journals from 1876 until the year of his death. The papers include research notes and data, extracts from other sources, drafts and proofs, and published copies of the articles. 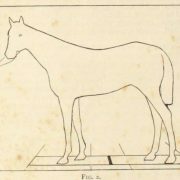 Smith’s research and publications covered a broad scope, but there were particular interests in horse anatomy and physiology; stable hygiene and nutrition; saddlery; the loss of horses in war; and the eye and foot of the horse. 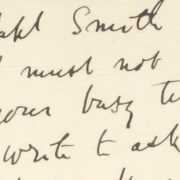 Smith was also concerned with veterinary education and the reputation and status of the veterinary profession as a whole, and this is reflected in his correspondence with his peers. There is very little information regarding Smith’s personal and family life within the collection. Some mention is made in Smith’s autobiography, but these papers are wholly concerned with Smith’s professional life and activities. 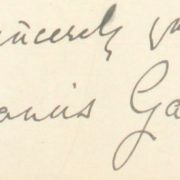 We currently have digitised parts of the correspondence series of this collection, they are available below. We will be adding to this periodically so follow us on social media or check this space again to find out what new content has been added. 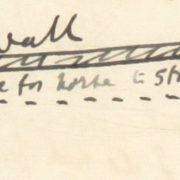 For more information on the Frederick Smith papers please click on the archive catalogue link at the bottom of this page. 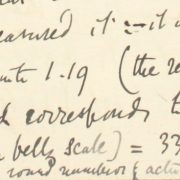 This notebook contains manuscript notes and sketches made by Smith, during his study at the Royal Veterinary College in 1873 to 1874. The notes are about the eye and the foot of the horse. Photographs relating to the Army Veterinary School in Aldershot, including Smith’s laboratory and vaccine institute. In this letter Galton sends Smith a copy of his article ‘Photographic Measurement of Horses and other animals’, which was published in ‘Nature’ 6 Jan 1898. The article is enclosed.